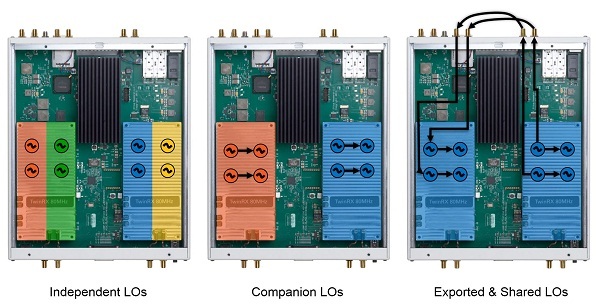 NI has launched the USRP-2945 quad receiver and the USRP-2944 2x2 multiple input, multiple output (MIMO) SDR devices. 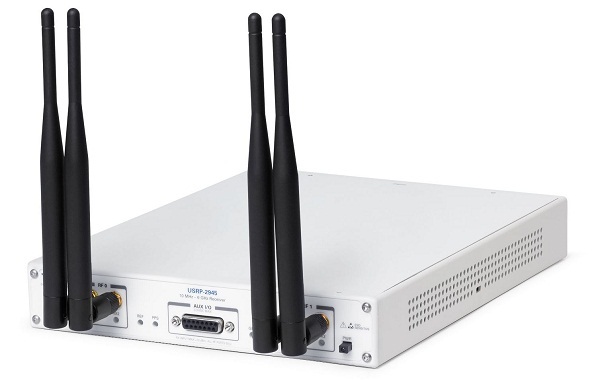 For wideband wireless research, the USRP-2944 is a 2x2 MIMO-capable SDR that features 160MHz of bandwidth per channel. With a frequency range from 10MHz to 6GHz, this SDR works in frequencies of interest for LTE and Wi-Fi research and exploration, covering potential spectrum deployments. Figure 1: The NI USRP-2945 quad receiver SDR device. Designed for over-the-air signal acquisition and analysis, the USRP-2945 features a two-stage superheterodyne architecture to achieve selectivity and sensitivity required for applications such as spectrum analysis, and monitoring and signals intelligence. With four receiver channels and the capability to share local oscillators, this device also sets performance benchmarks for direction finding applications. Figure 2: The USRP-2945 and a PXI Based RAID Hard Drive Array. Engineers can use the USRP-2945 and USRP-2944 to transition their projects from design to prototyping and deployment across a wide range of wireless applications through a unified design flow. Additionally, engineers can efficiently incorporate NI SDR products with other NI hardware to design solutions that address the applications, benefitting from hardware flexibility combined with a unified software tool chain. They can combine NI SDRs with LabVIEW software to rapidly develop real-time communication and wireless receiver systems, and prototype new algorithms with real-world signals through the onboard FPGA and FPGA programming tools. Figure 3: Two-stage Superheterodyne Architecture Used in the USRP-2945 and USRP-2955. The NI USRP-2945 and USRP-2944 SDR solutions are ideal for aerospace, defense and wireless prototyping applications. Figure 4: LO Sharing Options for Single USRP Device. Figure 5: The USRP-2945's LO Connectors on Rear Panel.